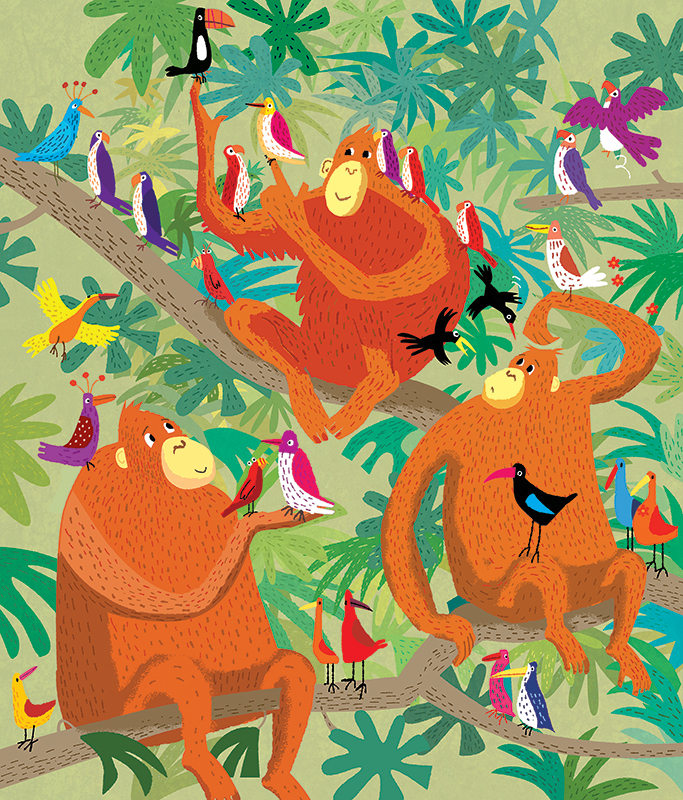 Paul Boston's illustration of Orangutans spending time with their birdy pals is choc-a-bloc full of character. The warmth and humour of Paul’s style combined with his use of vibrant colour and detail is just perfect for the picture book market. To see Paul's portfolio click here. Paul Boston is represented by Kids Corner. Published on 16 August 2018.